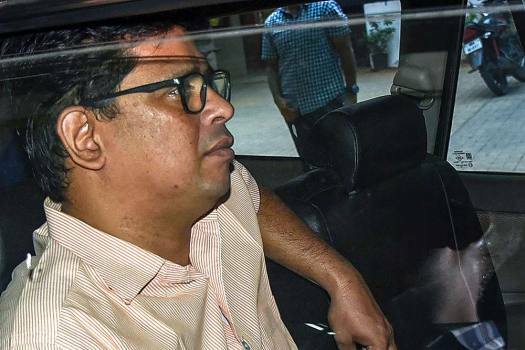 Human rights activist Arun Ferreira being arrested from his residence in Thane after the Pune Sessions Court rejected his bail plea in Bhima Koregaon violence case. 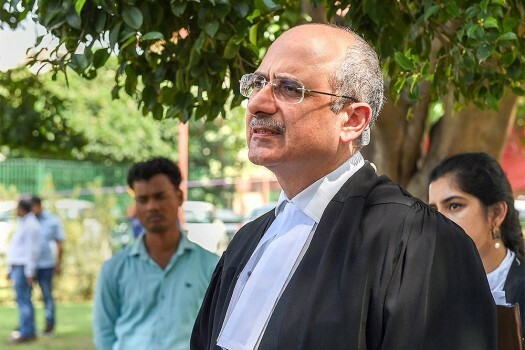 Bharatiya Janata Party's (BJP) spokesperson and advocate Nalin Kohli addresses the media after the verdict on five activists in Bhima-Koregaon case, in New Delhi. 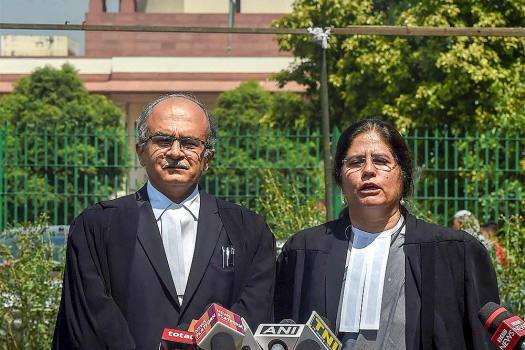 Advocates Vrinda Grover and Prashant Bhushan address the media after the verdict on five activists in Bhima-Koregaon case, in New Delhi. 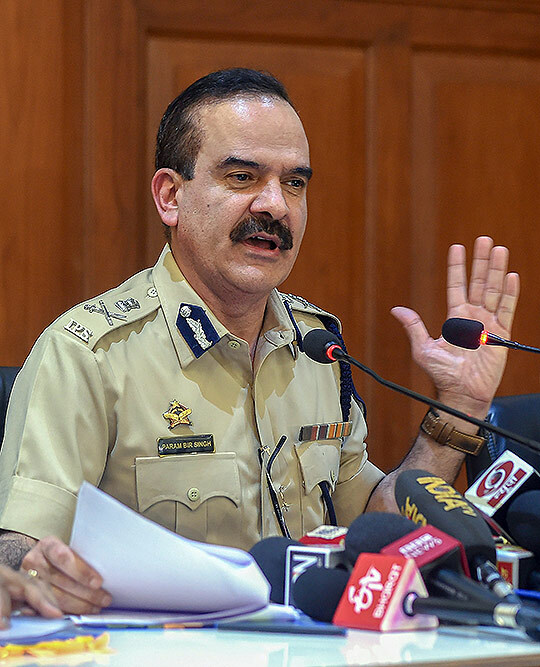 Maharashtra Police ADG (Law and Order) Param Bir Singh interacts with the media about the house arrest of rights activists in Bhima Koregaon case, in Mumbai. 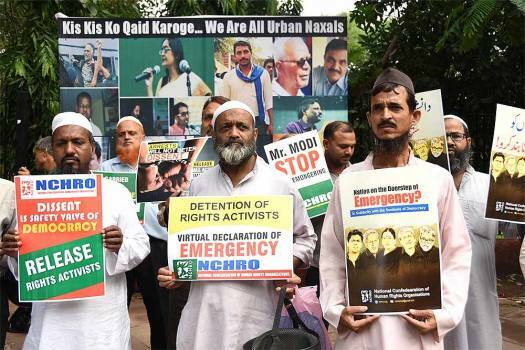 Activists of Jan Ekta Jan Adhikar Andolan' display placards during a protest against the arrests of activists and alleged state repression, in New Delhi. 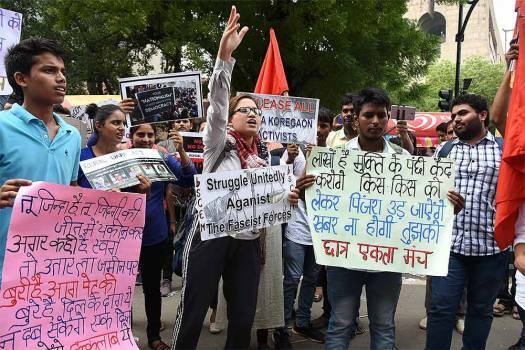 The 'neo-Left' doctrine of these urban Naxals is to establish an anti-national leadership with blind followers solely committed to them, said Bhagwat. 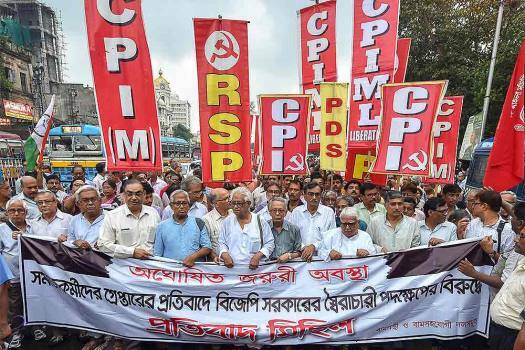 "We were all born Indians, lived as Indians all our lives. 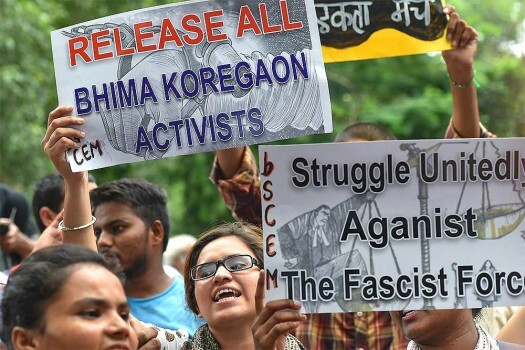 These activists are fighting for good causes and terming them urban naxal is a political move," she said. 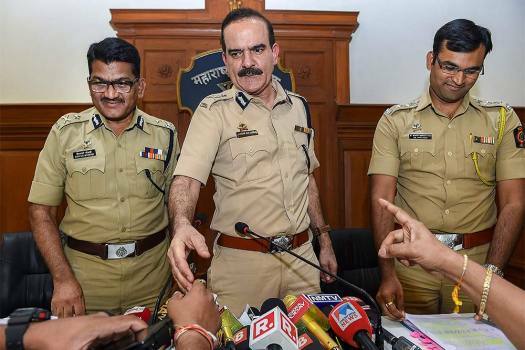 Shah's comments come in the wake of the Maharashtra police arresting five human rights activists late last month for their alleged links with Maoists. 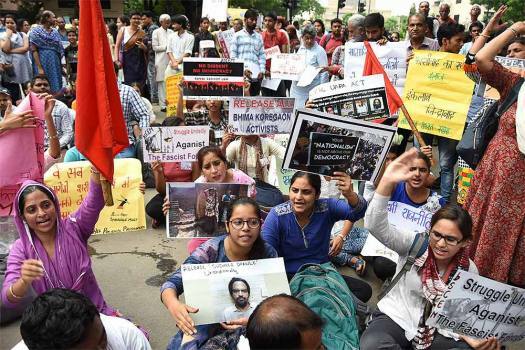 Girish Karnad along with many other activists took part in an event organised to mark Gauri Lankesh's death anniversary. 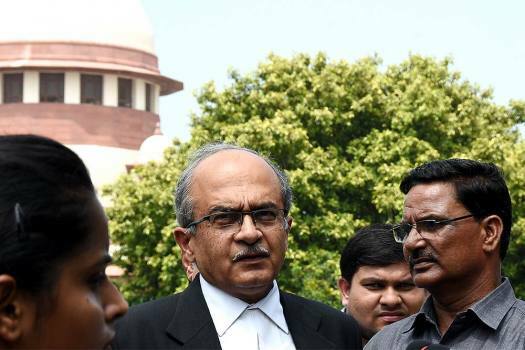 In its earlier hearing on the case, the SC had said: “Dissent is the safety valve of democracy... the pressure cooker will burst if you don’t allow the safety valves." People can be punished for their deeds, and not for their thoughts. 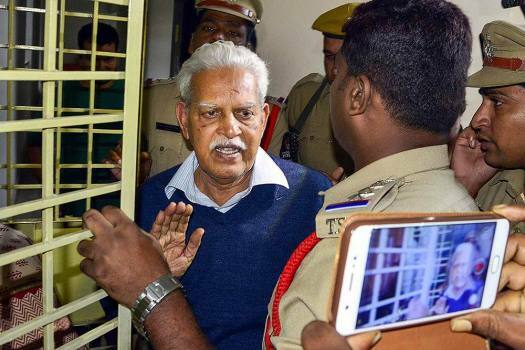 Under the pretext of '#urbannaxals', police barged into a central university campus, raided Dalit intellectual Prof Satyanarayana's house, and seized all his academic work. 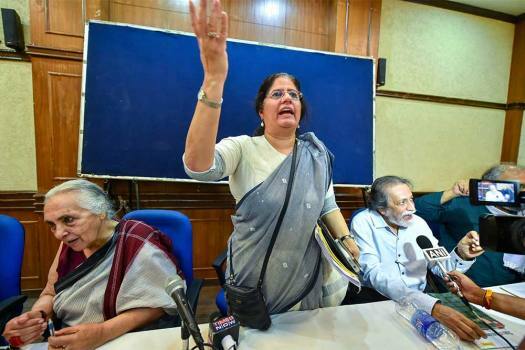 A student recounts the ordeal.